Its velvety smooth, fragrance-free formula is excellent for those with delicate or sensitive skin. Naturally rich in Vitamin A, thisshea butter facial cleansing bar is made to a rule of thirds – using one third shea butter, one thirdcoconut oil, one thirdolive oil. [NUORENTA] Soft Silky Cream Conditioner 155ml. $Kashmir Keratin Shampoo Sulfate & Paraben Free For Dry & Damage Hair 500ml/ 16.9 Fl.Oz Kashmir Keratin Hair System Ceramic Series Kashmir Hair System Laboratories Have Created A Unique Range Of Keratin Based Formulas Designed To Repair Damage And Colored Hair. Keratin Is Comprised Of Amino Acids That Actively Penetrate The Hair Shaft To Repair, Strengthen And Renew It. Regular Use Of Kashmir Hair System's Products Will Ensure That Hair Is Left Healthy, Strong And Revitalized. Kashmir Hair System's Unique Molecule Formulas Can Identify And Repair Damaged And Unhealthy Hair, Remove Dandruff And Other Impurities And Strengthen Hair To Restore It To Its Natural, Healthy Condition. FREE SHIPPING WORLDWIDE All our items are shipped as a registered air mail. International Delivery time 7-21 working days. A fantastic range, each colour can be made into 3 different colours depending on how long you leave it on your hair for. View Related Products. NEW Davines OI Conditioner 250ml Davines is the Italian cult haircare label taking the salons of the world by storm. To use: Apply to clean, towel dried hair, section by section, leaving on for 2-3 minutes before rinsing out. This shampoo gives long-lasting relief from dandruff and rapidly soothes the scalp. Kelual DS Shampoo prevents recurrence. Cream shampoo. Apply, lather and massage into the scalp, rinse. Reapply and leave on for 3 minutes, rinse. 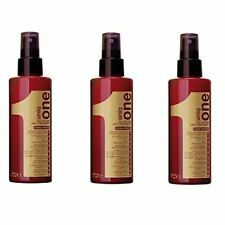 A leave-in styling and toning spray for blonde and highlighted hair. Gently yet effectively cleanses hair and scalp whilst strengthening the hair structure. Neutralises unwanted warm undertone and preserves and revives cool tone directions. During cleansing, a blue-violet dye is subtly deposited on the hair to refresh or add a cool tone direction, while caring ingredients help to improve hair condition. Marke Goldwell. Größe 100 - 200 ml. Maßeinheit 100 ml. Organic Ginseng and gingko Biloba Extracts, with their protective, strengthening and revitalising properties, help keep colour vibrant. Enriched with Ceramides and Sunflower and Millet Extracts which nourish the hair deep down. = Made using organic ingredients. International list of ingredients (INCI): Aqua, aloe barbadensis leaf extract , sodium coco sulfat, glycerine , coco glucoside, lauryl glucoside, glyceryl oleate, sodium chloride, lavandula angustifolia flower extract lavendulae angustifolia oil , parfum, polyglyceryl-4 caprate, xanthan gum, lysolecithin, citric acid, coco-caprylate, tocopherol, beta-sitosterol, squalene, linalool. System Professional Color Save Fluid 125ml. New Packaging! Free P&P! System Professional Color Save Fluid 125ml. When used in conjunction with our exceptional RED shampoo, your colour will deepen gradually for a natural looking enhanced red. Ideal for natural and dyed red hair that needs to be revived with an extra boost of red colour. 2 x nEUTROGENA T/GEL SHAMPOO 125ML - GREASY HAIR. NEUTROGENA T/GEL SHAMPOO. GREASY HAIR TYPE. Africa's Best Hair Mayonnaise With Extra Virgin Olive Oil 509 / 18 oz (Large Jar). With consistent use, Africa's Best Organics Hair Mayonnaise rejuvenates and renews weak fragile hair. 250ml bottle. Contains caffeine that stimulates hair growth. Suitable for all hair types. We are based in Manchester. We are based in Manchester since 2014. MICRO-STIMULATING HAIR BATH 240ml. RRP £25.00. Apply to damp hair, massage and rinse. Repeat if necessary. Anti-hair loss scalp and hair revitalising bath. It improves the micro-circulation of blood vessels and encouraging the hair bulb to revitalize and strengthen. A weightless volumizing shampoo. Perfect for fine or limp hair. Enriched with Argan Oil & Keratin to shield & hydrate hair. Formula with Tilicine to penetrate into hair & plump up the cuticle from the inside out. Obsessed Shampoo. Color Obsessed. Protect coloured hair from fading and corroding with the Matrix Biolage Total Results Color. Total Results. Honey & Hibiscus Hair Reconstructor 473ml. Contains honey & hibiscus extracts plus fourteen certified-organic extracts & plant oils. John Masters Organics.